Our company does not only focus on the residential plumbing needs of our clients, we also have an expertise when it comes to commercial plumbing. We care about you just like how you care about your business. When plumbing problems arise in your workplace, it will not only cause discomfort, but it may also cause damages that may eventually lead to loss of sales or money. As one of the best local Hills District commercial plumbers, we offer a wide range of services for our business clients in North West Sydney and beyond. 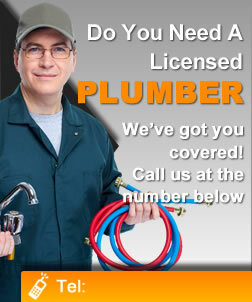 Aside from repairing broken pipes and faucets, we can also do your business’s installation of water system. Aside from these, we can also provide an engineering design for the maintenance of your plumbing system specifically designed to meet your business’s needs. By doing so, we can help you avoid encountering future problems and save costs from repairs. We can even help with water wells on the property, if required! Hills Emergency Plumbing Pros provides a complete set of plumbing services and we won’t stop until our client is very much satisfied to recommend us to other prospective clients. Never hesitate to give us a call if you think you are in need of our services at your home or office in The Hills Area, we will be happy to discuss the details with you. We take pride of our work so you are guaranteed of an excellent service. Please feel free to contact us at (02) 8310 4463 if you need a reputable Castle Hill commercial plumber and we promise that our hotlines are always open to address all your residential and commercial plumbing needs. Our friendly customer service executives will be glad to assist you.